Hustler bed and breakfast travel guide for romantic, historic and adventure b&b's. 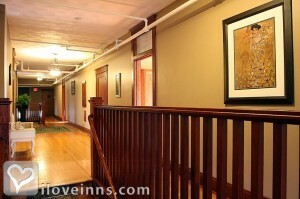 Browse through the iLoveInns.com database of Hustler, Wisconsin bed and breakfasts and country inns to find detailed listings that include room rates, special deals and area activities. You can click on the 'check rates and availability' button to contact the innkeeper. Hustler is a Wisconsin beauty. A weekend here is simply not enough as the things to be enjoyed and the sights to see are so numerous. The Omaha Bike Trail, formerly a railroad, passes through the most beautiful sights in Hustler. During winter this same trail becomes an ideal route for snowmobiling. Other points of interest are Castle Rock Lake and Park, the Dells, Burr Oak Winery and Art Gallery, and Cascades Ski Mountain. Kayak or canoe at Point Bluff Resort. Visit anytime but also consider coming during the Warrens Cranberry Festival and the Whooping Crane Festival. Hustler bed and breakfast inns will be busy during such times so book early or consider coming just beforee or after - the Whooping Cranes for instance, don't always keep the same calendar as the festival planners. By Fountain Chateau Bed & Breakfast Inn.